Every Blogging is hungry for traffic to there website. Even Many Such big Competitors are in Researching for how to get more Traffic. You have created your website, build it professionally done SEO Settings or by making huge amount of backlinks. But, Even don’t get that much traffic for which you are Waiting For. Isn’t it bad or Demotivated Time ? Many Bloggers Quit there Blogging Careers because of Demotivation. Thinking they could not earn much money or they cannot create such Website or cannot generate huge amount of Traffic. But other than SEO there is another very important work is incomplete. Adding Translation Widget to your Website. Have you Ever thought that how many visitors have left your website without doing any activity because of your website language. English is most common language over the world but there are some people who don’t understand or read out English Language. They only know there Motherland Languages. 2. Add Your Website and Choose your website Language (in which language your website is). 3. Choose in which languages you want to convert your Website.I Recommend choose all Languages and let all the changes be the same (Default). 5. Paste in your Website – Layout – and paste in the sidebar where you want to place the Widget. 6. Done ! If you want to check the Widget you can go on my Website and Check Here. 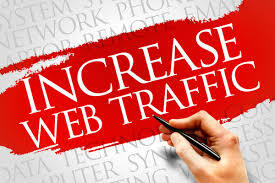 Hope you like an article how to boosts your Website Traffic 2X Faster. Follow the steps given above in the article and Boosts your website traffic. Don’t feel small to share this article with your friends or on Social Profiles.